Why isn’t anything being done about this threat? We have known this for over two decades from numerous federal reports and hearings, but nothing has been done about it. Why? For the past 15 years, commissioners of the Federal Energy Regulatory Commission have been cut from the same bolt of cloth. All but two were lawyers. Most go on to high power positions in law firms representing the utility industry. Some actually go to the utility industry itself. FERC is a stepping stone to a lucrative future position in the industry or representing the industry. FERC Commissioners don’t want to upset the industry by requiring it to protect the grid from cyber attacks, electromagnetic pulse (EMP), geomagnetic disturbances (GMD), physical attacks and untrimmed foliage. The industry fights efforts to harden the grid. FERC Commissioners do not want to antagonize an industry dangling lucrative positions following their FERC terms. How do we take matters into our own hands? Most people do not have the resources to “bug out” to a cabin in the woods hundreds of miles away from civilization. For many, sheltering in place is the only option. If we are forced to flee or “bug-out,” we may become refugees. Thus, it doesn’t matter how prepared we are, if society around us collapses, it places us in grave danger. This is a critical point: FEMA’s number one goal in its 2018-2022 Strategic Plan is this: Build a Culture of Preparedness. Preppers can play a key role in saving this country. First, the federal government must fix the failed current regulatory scheme which has proven unable to protect the self-regulated electric grid. Second, we need 35,000 towns and cities across the United States to build a culture of preparedness. 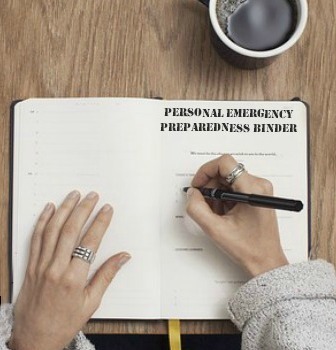 On each of these items – which are critical to U.S. national security as well as our individual and family security – preppers are uniquely qualified to get involved and make a difference. We have the situational awareness to hold our government accountable for protecting the grid. We can accomplish this by engaging our elected officials, the press and the federal government. We can participate in changing federal regulations! We have the knowledge and expertise in preparedness that we can bring to our communities. We can be part of the solution and help to “build a culture of preparedness” in the U.S.
And remember, the reason the U.S. electric grid is such a fat juicy target to Russia, China, Iran, and North Korea is precisely because they know we are not prepared. When preppers help their neighbors and communities, they are increasing the resiliency of the U.S. from a long-term catastrophe. 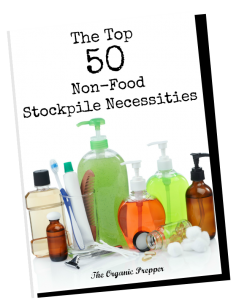 Thus, preppers can contribute to the national security of the U.S. in a substantial way.